Hey guys! I have good news! McDonald’s Philippines collaborated with me and wanted to give you guys a treat, a little early this Christmas Season! through the 2015 Coca-Cola Glass Collection. simply have to add Php29 to any McDonald’s meal. and CEO Kenneth S. Yang. advertising of the following periods—1899, 1916, 1955, 1961, 1994, and 2015.
bottle and are offered in the Coca-Cola bottle’s original Georgia green color. 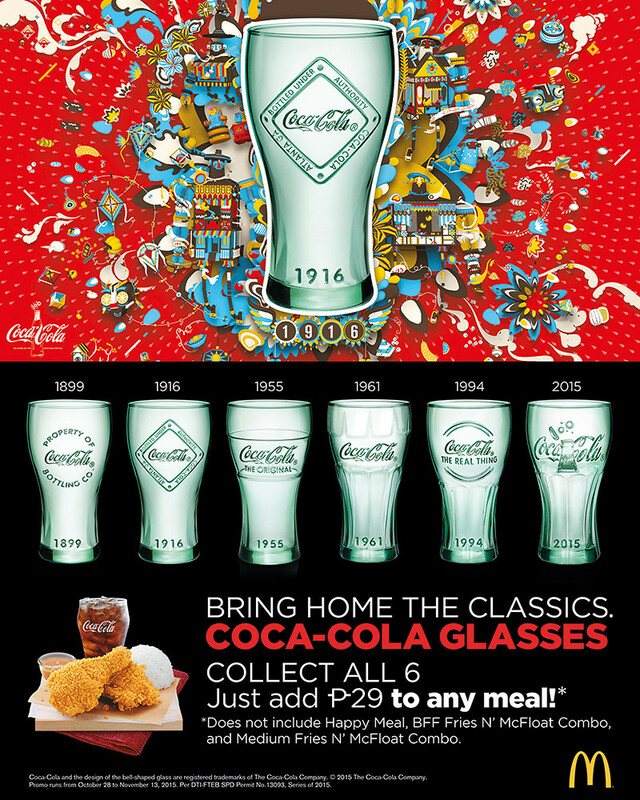 Here’s a chance for you guys to Win the Coca-Cola Classic Glasses Collection + Gift Certificates! To Join read the full mechanics below! Post a photo of your 2015 Coca-Cola Glass on Instagram, tag me @jeffreymondia & @McDo_PH. The most creative photo wins! Bonus points if the entry looks classic, just like this year’s Coca-Cola Glasses. Best photo wins Php3,000 worth of McDo GCs. 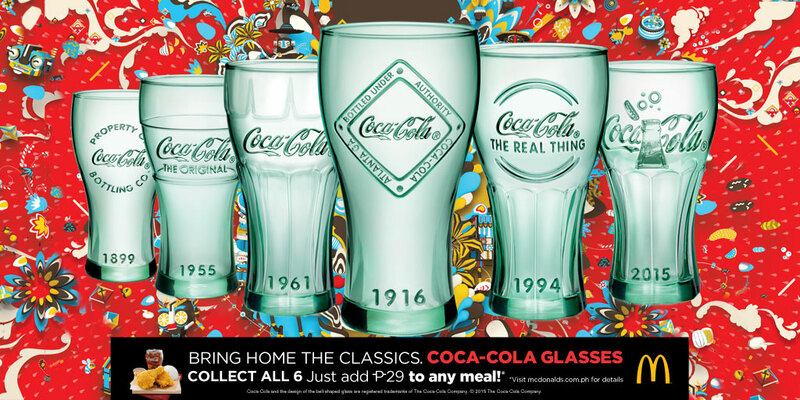 The second best entry gets Php1,000 worth of McDo GCs to buy your favorite meal and a chance to complete the 2015 Coca-Cola Glass Collection (just add P29!) We’ll be the one to send the prizes. Go send your entries guys! The Instagram Contest will run from this Monday to Friday, November 16-20, 2015. Post up guys!